If you’re starting a Cafe or looking for an upgrade, we have the expertise and tools to make your experience better. 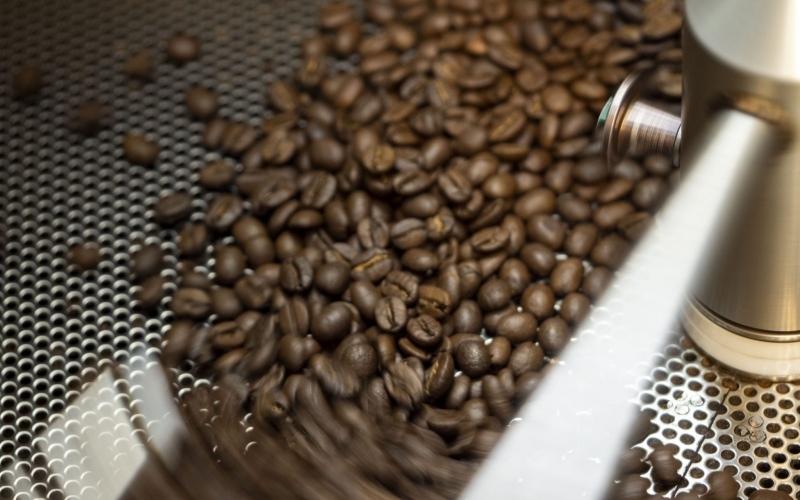 We Calgary’s cafe coffee wholesalers. 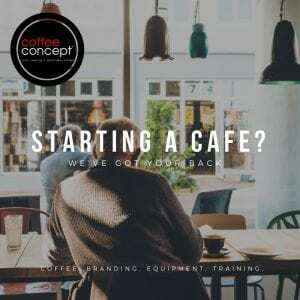 Coffee Concept provides espresso machines, coffee, branding essentials, barista training, a wonderful customer service team, and various different coffee programs tailored to all your needs. 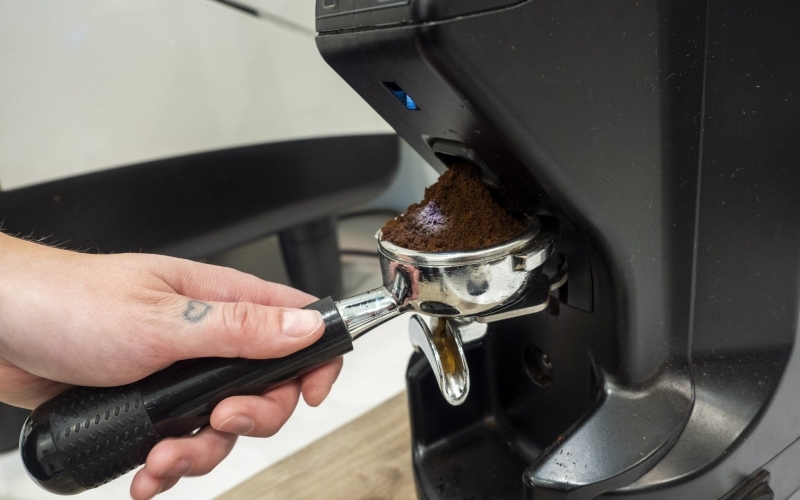 With one of the best selections of espresso equipment in the market, our connections with leading brands (Nuova Simonelli and La Marzocco, Victoria Arduino, and more) have enhanced many of our client’s cafe experiences. Our selection also includes coffee brewers, grinders, pour over equipment, coffee accessories, and more. To make your cafe experience easier, we provide frequent servicing on coffee equipment, espresso machines, and brewers—all free of charge when you are on one of our coffee programs. Brewers and additional coffee equipment are also provided for free when you purchase our coffee. In addition, we have a specialized team of technicians available if any of your coffee machines need repair or special maintenance. Say goodbye to stale, flat coffee. We roast fresh batches of coffee daily at our own roastery right here in Calgary. Our priority is to ensure all the juicy flavours in the coffee are still fresh in the cup when you serve it to your customers. Our coffee is sourced ethically through our trusted partnerships, bringing you a wide selection of top scoring coffees from Colombia, Ethiopia, Costa Rica, and more. If you are interested in exploring our selection, you are more than welcome to come in for a personalized coffee tasting at our Roastery located in Calgary. 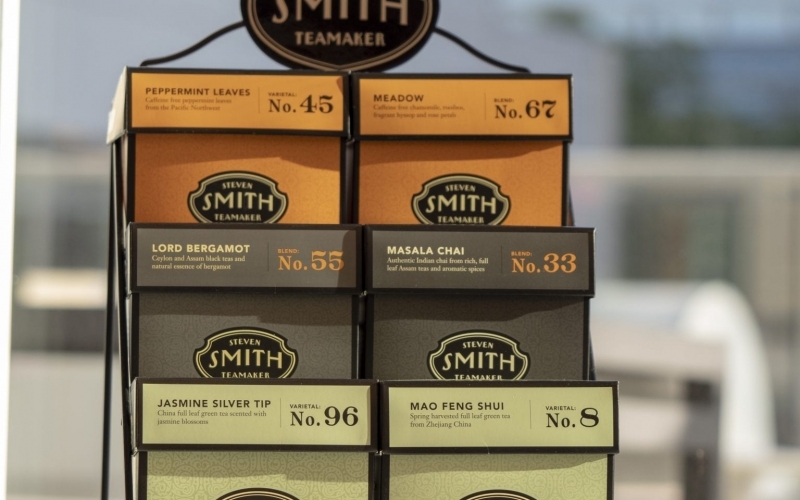 In addition to coffee, we offer high quality, unique tea brands such as Smith Teamakers and Revolution tea, along with a wide range of your favourite dairy alternatives. We also carry cups, sleeves, syrups, pour over equipment, and many more cafe essentials. Please contact us for our full product list. 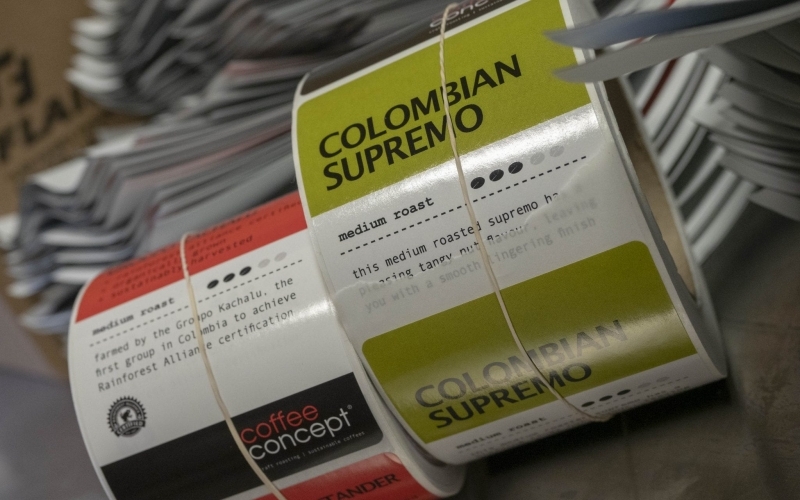 We have all the tools you need to create custom labels, cups, sleeves, bags, and more. Our team of creators will help you personalize your own labels and work with you to create ones that you love. Good coffee needs good people. 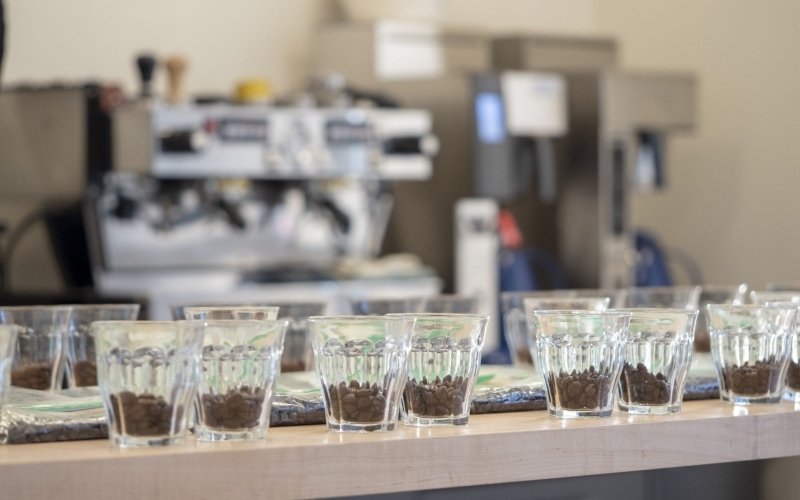 We understand the challenges of barista training and the time it takes for your team to cultivate the right skills to make a perfect espresso. 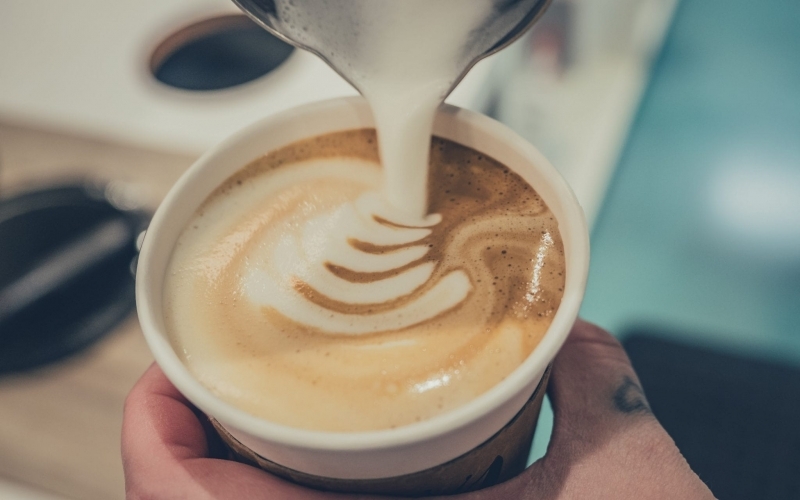 This is why we offer complementary barista training to cafes to help you and your employees gain professional barista skills in just 1-2 sessions at no charge. For more information about our sessions, please contact us to get connected with one of our sales representatives.